It’s been so long since I’ve written a new blog post to share with all of you and I’m dying to catch you up on all the excitement around here. So many things have happened–where do I begin? The very beginning, I suppose. WAY back in February 2013, I pressed ‘publish’ on my very first blog post. That first recipe was for beignets. I thought long and hard about what my first post would be, and there really was no better choice. (I dare you to go back and visit that post without laughing.) I adore beignets for their fluffy, sweet perfection that leaves my lips and fingers sticky from the warm powdered sugar. Their ability to provide a dessert-like experience at breakfast is unmatched. They also pair perfectly with a steaming cup of locally roasted black coffee. Truly however, my favorite thing about beignets is the many relaxed brunch conversations that I have enjoyed with my husband over the years throughout our travels. We don’t get to go away just the two of us these days, so making beignets at home is one small way that we can transport ourselves back to the days where we could leisurely spend our Saturdays together before our regimented schedule of meals, naps, diaper changes, tummy time, repeat. Considering the fact that I’ve got big plans for the future of Kitchen Joy, it seemed fitting to re-visit the recipe that started it all. I’ve spent the better part of the past year and a half creating over 100 recipes and taking thousands of photos in preparation for my very first COOKBOOK! 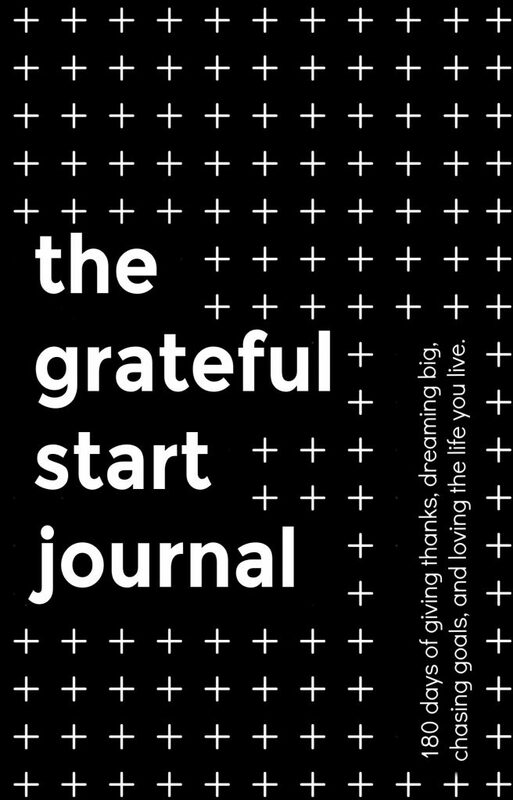 I am so excited to share the finished book with all of you in early 2019. Writing a cookbook has been a dream of mine since as long as I can remember, but over the past few years that dream became an actual physical need of my heart. It is my love letter to home, Michigan, family gatherings, shared meals, and so many desserts. Seriously. I need to cut out several dessert recipes because otherwise there will be 3 times as many desserts as main courses! (Although I don’t know why I feel like that isn’t a good thing.) Maybe I’ll just roll with it and not apologize for my love of desserts. *Over 100 recipes highlighting the best that Michigan has to offer, including tried-and-true recipes for Michigan classics including Detroit Coney Dogs, Mackinac Island Fudge, Pasties, all things maple syrup, and so much more! *Page after page of rich, full color photography. Dreamy recipe photos, stunning landscapes from adventuring around Michigan, and little glimpses into the lifestyle of a food-obsessed family (including my babies!). Seriously, if you never cook a single recipe from the book, it still would be worthy of a place on your coffee table. This place is beautiful. *Michigan beer, wine, and coffee pairing recommendations for many of the recipes. 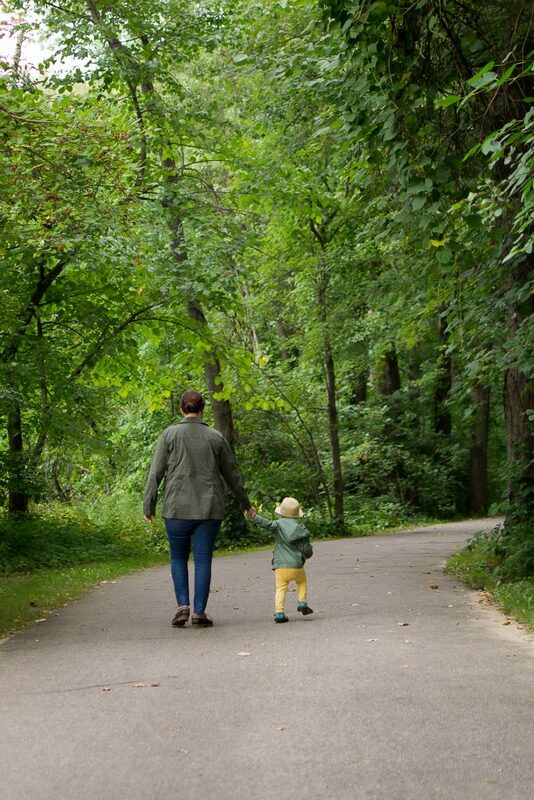 *Stories from our adventures living in the mitten state, favorite quotes, and maybe even a hilarious childhood poem about table manners for good measure. *All recipes include ingredient weights (in grams). *Simple, approachable family recipes meant for enhancing your life in a homemade way. TONS of breakfast and brunch dishes to choose from, and more fantastic syrups and sauces than you’ll know what to do with. (Don’t worry, I’ve got you covered in the idea department.) Basically, it’s Midwestern comfort food with a focus on local ingredients. *Printed in the United States of America! I’m a firm believer in supporting creators and makers in the U.S. of A. *Hand-sketched icons and details created by yours truly. Every single aspect of this book has my hands and heart all over it. Q: Have you stopped blogging? Are you planning to go back to it? A: I had to take an extended break from this site due to major adjustments in my personal life. We sold our house and moved with a 1 year old, got pregnant, had an incredibly nauseaus pregnancy with a toddler underfoot, and delivered baby girl #2 just 3 short months ago. My daily life as a mom has changed drastically, but I have spent more time and energy than ever creating new recipes to share in my cookbook, and also on the blog. Stay tuned! There are GREAT things coming! Q: Who is publishing your book? A: Long story short- I am. After tirelessly researching, reading articles and books on the topic, and listening to dozens of podcasts and audiobooks, I came to the business decision to self-publish my cookbook. The independent publishing route been the perfect fit for me. I get to set my own deadlines. It gives me the freedom to create recipes when each ingredient is in season here. It lets me take time off when I’m sick from pregnancy. It also lets me have the ultimate control over every detail of the book. I styled and shot every single recipe photo myself, usually in my living room while my daughters are napping or out and about in a gorgeous location. It also forced me to learn the ins and outs of the publishing industry for myself. 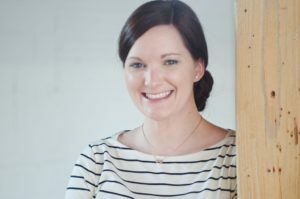 My interest in self-employment, running a business, marketing, book design, and female/mom entrepreneurship has grown immensely throughout this process. It’s been a huge education, and I’m so thankful for this experience! A: Not quite yet, but I will share all of the pertinent ordering information as soon as it is available. Q: Do you need help recipe testing? Yes! I’m looking for a few more recipe testers to help in the final round of the recipe testing process. If you are interested in participating (in exchange for acknowledgement in the book), please email [email protected] with the subject line: Cookbook Recipe Tester. I will respond with the pertinent details in the coming months. Please understand that depending on the volume of responses, I may not have a need for everyone who responds to participate. In a large bowl, add water and yeast. Add evaporated milk, egg, vanilla, oil, sugar, and salt. Whisk to combine. Mix in flour, beating until thoroughly combined and a sticky dough forms. Add enough oil to a large heavy-bottomed saucepan so that it is about 2-inches deep. Heat oil over medium-high heat to 370°F, adjusting heat as needed to maintain temperature. On a floured surface, roll out one-third of the dough to ¼-inch thickness using a floured rolling pin. Cut dough into squares or other desired shape about 2-inches by 2-inches. Gently drop 3-4 squares of dough into hot oil, one at a time, watching the thermometer closely. If the temperature drops below 370°F, wait until the temperature comes back up before adding any more dough to the oil. Cook dough in hot oil for about 1 ½-2 minutes, until golden and puffed up before using a mesh sieve to flip dough over. Cook the second side until golden, about 2 more minutes. Drain on paper-towel lined platter. 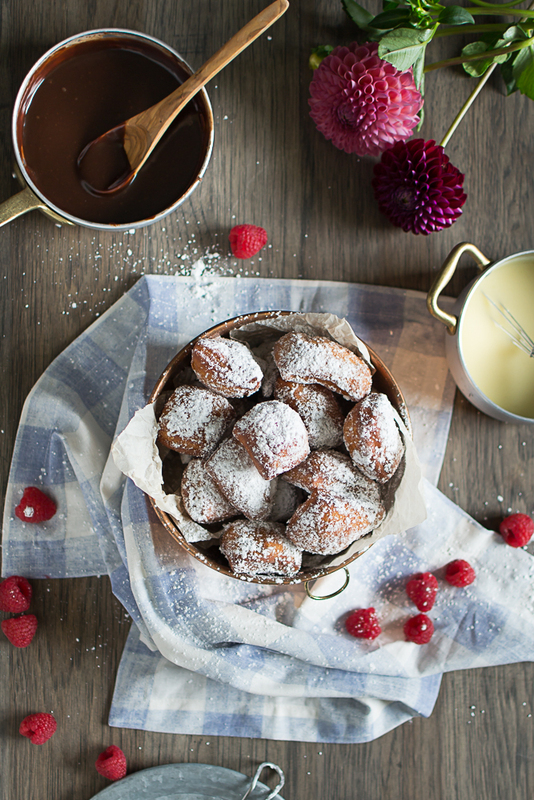 Repeat with remaining dough until all beignets are cooked, continuously adjusting the heat to maintain temperature. If the oil isn’t hot enough, the beignets will turn out heavy and oily. If too hot, they will be done on the outside but uncooked inside. Note* Dough can be prepared and refrigerated for up to 3 days prior to frying. Let come to room temperature before frying. In a large bowl, add warm water and yeast. Add evaporated milk, egg, vanilla, oil, sugar, and salt. Whisk to combine. Mix in flour, beating until thoroughly combined and a sticky dough forms. Dough can be prepared and refrigerated for up to 3 days prior to frying. Let come to room temperature before frying. Thanks so much for visiting my site! 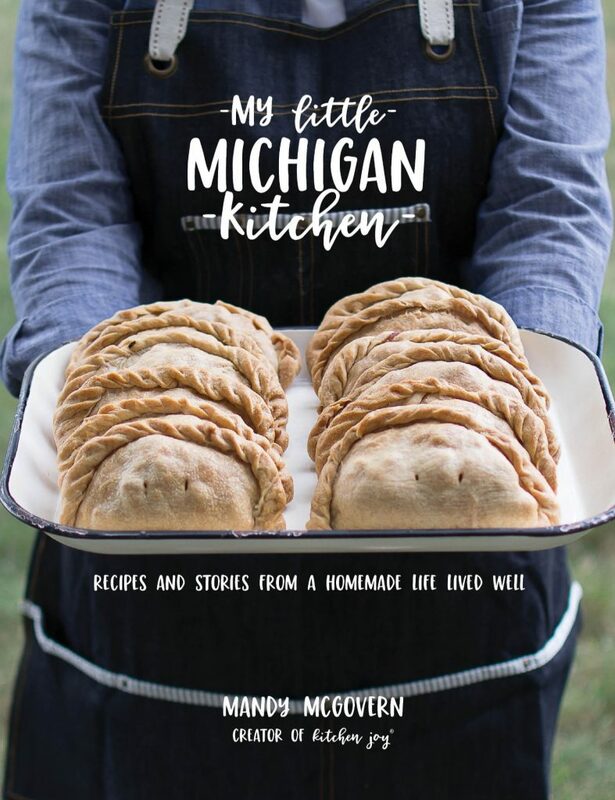 I hope you’ll join my email subscription list to stay up-to-date on all of the great content coming soon, and to be the first to know how to get your hands on your copy of My Little Michigan Kitchen: recipes and stories of a homemade life lived well.